Steven M. Sheffrin is Professor of Economics and the Director of the Murphy Institute. 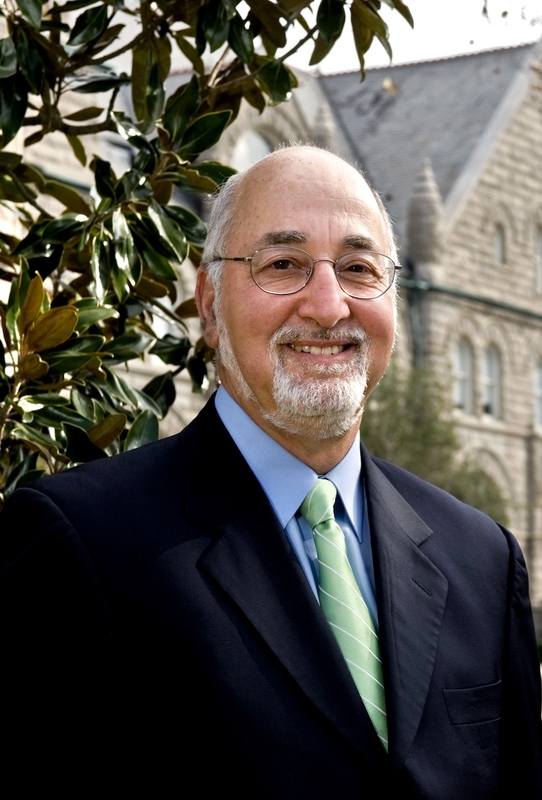 He joins Tulane from his previous position at UC Davis where he was on faculty from 1976 and served as dean of the division of social sciences from 1998 to 2008. He has been a visiting professor at Nuffield College, University of Oxford, a postgraduate college specializing in the social sciences; the London School of Economics and Political Science (LSE); Princeton University; and Nanyang Technological University, Singapore. Sheffrin holds a BA from the College of Social Studies, Wesleyan University, and a PhD in economics from Massachusetts Institute of Technology. He is the author of ten books and monographs and over one hundred articles in the fields of macroeconomics, public finance, and international economics. His book Rational Expectations (2nd edition, Cambridge University Press, 1996) is a highly regarded introduction to this important theory. He is also the author (with Terri A. Sexton and Arthur O’Sullivan) of Property Taxes and Tax Revolts: The Legacy of Proposition 13, as well as Economics: Principles, Applications, and Tools (with Arthur O’Sullivan and Stephen Perez), an introductory economics textbook (now in its 8th edition from Pearson Prentice Hall). Sheffrin’s research in tax policy focuses on practical, policy-oriented issues, including property taxation, state corporate taxation, tax fairness and compliance. He has also served as a financial economist with the Office of Tax Policy Analysis, U.S Department of the Treasury and as a member of the Board of Directors of the National Tax Association. He is currently pursuing research on the foundations of fairness in taxation. Rational Expectations (Second edition), Steven M. Sheffrin. Cambridge University Press, 1996. Google Book Preview. Markets and Majorities: The Political Economy of Public Policy, Steven M. Sheffrin. Free Press 1993. Google Book Preview. The Making of Economic Policy, Steven M. Sheffrin. Basil Blackwell, 1989. Library Search (WorldCat). “Taxation and House-Price Uncertainty: Some Empirical Estimates“, Steven M. Sheffrin and Tracy M. Turner. International Tax and Public Finance, August 2001. “Causation, Spending, and Taxes: Sand in the Sandbox or Tax Collector for the Welfare State?“, Kevin D. Hoover and Steven M. Sheffrin. The American Economic Review, March 1992. “Fiscal Policy Tied to the Mast: What has Gramm-Rudman Wrought“, Steven M. Sheffrin. Contemporary Policy Issues, April 1987. “Estimating the Tax Advantage of Corporate Debt“, Joseph J. Cordes and Steven M. Sheffrin. The Journal of Finance, March 1983. “Tax Tensions: Privatization and Local Finance”, Steven M. Sheffrin and Bei Li. In Privatizing China, edited by Li Zhang and Aihwa Ong, Cornell University Press, 2008. “State Budget Deficit Dynamics and the California Debacle“, Steven M. Sheffrin. Journal of Economic Perspectives, Spring 2004. “Living with Limits: State and Local Finance in California”, Terri A. Sexton and Steven M. Sheffrin. State Controller’s Quarterly, August 1997. “Who Pays for Development Fees and Exactions?“, Marla Dresch and Steven M. Sheffrin. Public Policy Institute of California, June 1997. “Estimating the Tax Burden in California”, Steven M. Sheffrin and Marla Dresch. California Policy Seminar, 1995. “The Market Value of Commercial Real Property in Los Angeles County in 2002”, Terri A. Sexton and Steven M. Sheffrin, California Policy Research Center, February 2003. “Allocating Property Tax Revenue in California: Living with Proposition 13”, Therese A. McCarty, Terri A. Sexton, Steven M. Sheffrin, and Stephen D. Shelby. 94th Annual Conference Proceedings of the National Tax Association, 2002. “Proposition 13: Unintended Effects and Feasible Reforms”, Terri A. Sexton, Steven M. Sheffrin, and Arthur O’Sullivan. National Tax Journal, March 1999. “Proposition 13 in Recession and Recovery“, Steven M. Sheffrin and Terri A. Sexton. Public Policy Institute of California, September 1998. “The Future of the Property Tax: A Political Economy Perspective”, Steven M. Sheffrin. In The Future of State Taxation, edited by David Brunori, 1998. Order Information. Property Taxes and Tax Revolts, Arthur O’Sullivan, Terri A. Sexton and Steven M. Sheffrin. Cambridge University Press, March 1995. “The Future of Proposition 13“, Arthur O’Sullivan, Terri A. Sexton, and Steven M. Sheffrin. California Policy Seminar. 1993. Data. “Understanding Surveys of Taxpayer Honesty“, Janine L. F. Wilson and Steven M. Sheffrin. FinanzArchiv, June 2005. “Tax Evasion and Equity Theory: An Investigative Approach“, Sharmila King and Steven M. Sheffrin. International Tax and Public Finance, August 2002. “Complexity and Compliance: An Empirical Investigation”, Adam Forest and Steven M. Sheffrin. National Tax Journal, March 2002. “Perceptions of Fairness in the Crucible of Tax Policy“, Steven M. Sheffrin, in Joel Slemrod, ed., Tax Progressivity and Income Inequality, Cambridge University Press, 1994. “What Does The Public Believe About Tax Fairness?”, Steven M. Sheffrin. National Tax Journal, September 1993. “Can Brute Deterrence Backfire? Perceptions and Attitudes in Taxpayer Compliance“, Steven M. Sheffrin and Robert K. Triest, in Joel Slemrod, ed., Why People Pay Taxes: Tax Compliance and Enforcement, University of Michigan Press, 1992. “An Analysis of the Feasibility of Implementing A Single Rate Sales Tax”, Gary C. Cornia, Kelly D. Edmiston, Steven M. Sheffrin, and Terri A. Sexton. National Tax Journal, December 2002. “Should the Federal Income Tax Be Replaced with a National Sales or Value-added Tax?”, Steven M. Sheffrin. California Policy Research Center, August 1996. Brief. “California’s Energy Crisis: Implications for Public Finance and Taxation”, Terri A. Sexton and Steven M. Sheffrin. 94th Annual Conference Proceedings of the National Tax Association, 2002. “Electric Utility Deregulation and the Property Tax in California and Other Western States”, Steven M. Sheffrin. In Impacts of Electric Utility Deregulation on Property Taxation, edited by Philip Burling, 2001. For additional publications by Steven M. Sheffrin in Macroeconomics and International Economics, consult Google Scholar.